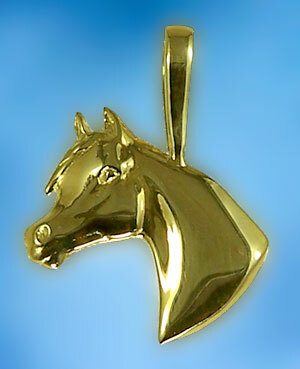 Arabian Horse head pendant great for the Arabian horse lover in your family. The Gorgeous Horse your number one source for Arabian jewelry. Simple but elegant is how I would describe this Arabian horse head design. Enjoy everyday! Dimensions: 3/4 inches x 3/4 inches.